Many people were excited to hear that Sega would be showing off a new Sonic game for the 25th anniversary of the franchise, but what people didn't expect is for Sega to announce two games. Both games are massive throwbacks to the history of Sonic, new and old. It seems Sega really has learned from their past mistakes, and are putting all they can into these two games, which both look fantastic. Sonic Mania will cater to those who love the classics, and Project Sonic will blend classic and modern together. 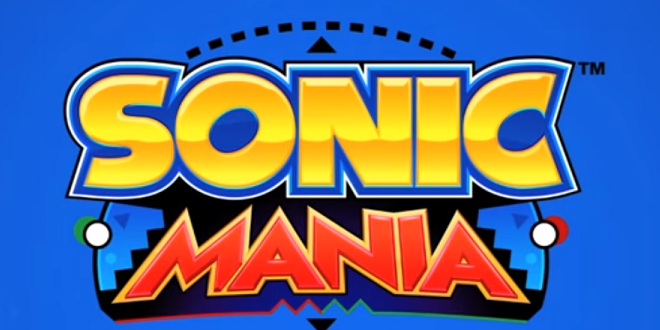 The first game on the way is titled Sonic Mania. Sonic Mania is a 2D platformer based on the Genesis era games. This game will use revamped zones from Sonic the Hedgehog, Sonic the Hedgehog 2, Sonic the Hedgehog 3, Sonic and Knuckles, and some all-new zones that haven't been seen before. There will also be three playable characters; Sonic, Tails, and Knuckles. A spin is put on the classics with a new move that will be seen in the game, called drop dash. This move is similar to Sonics's iconic spin dash, but is executed with a jump and doesn't have to charge. You can check out the trailer for Sonic Mania here, and the trailer for the next game can be seen below. Little is known about this game; It doesn't have an official title, but is under the working name Project Sonic. It will feature modern Sonic and classic Sonic, similar to 2011's Sonic Generations, which was released to celebrate the 20th anniversary of Sonic. In the trailer, we see a giant robot destroying a city, and Sonic rushes in to help. Classic Sonic shows up just in time to save Sonic from being crushed, and together they speed off. The game features the tagline "In the darkest of times, the world needs a hero... but even heroes need help." Sonic Mania releases for PS4, Xbox One, and PC Spring 2017, and Project Sonic releases Holiday 2017, for PS4, Xbox One, and Nintendo NX. Are you excited for this game? Do you prefer modern Sonic, or classic? Let us know in the comments! Zero, Feyfolken, Dead and 1 other person like this.